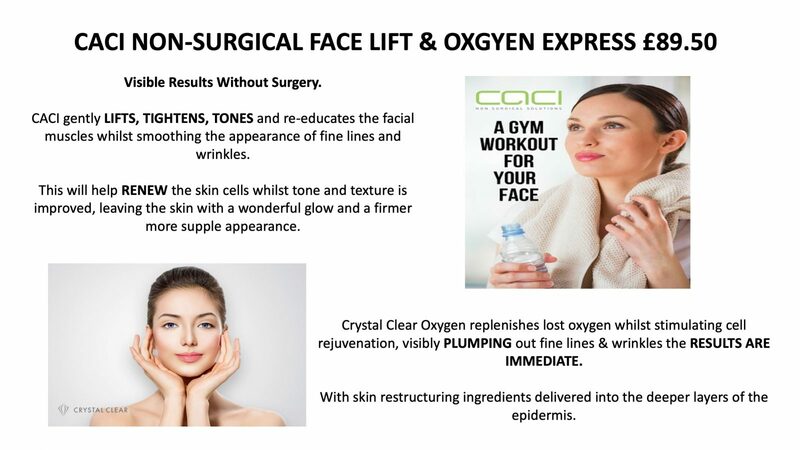 Do you have one of the following facials with us? 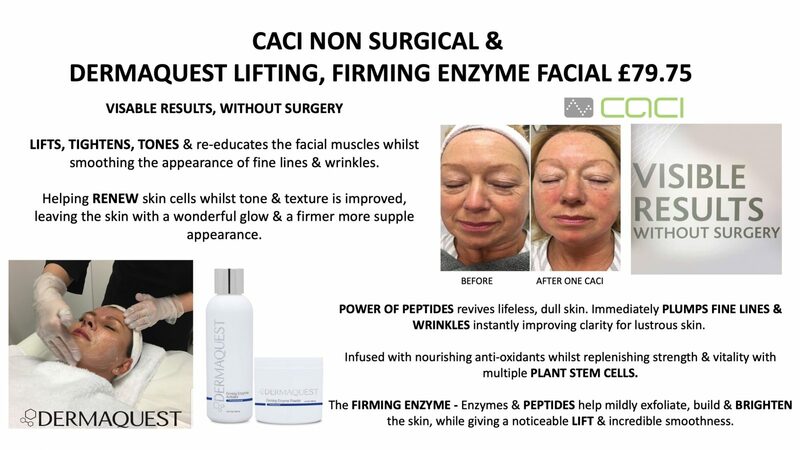 CACI NON SURGICAL FACE LIFT, DERMAQUEST RESURFACERS/ADVANCED PEELS, CRYSTAL CLEAR MDA/OXYGEN or ELLIPSE SKIN REJUVENATION. 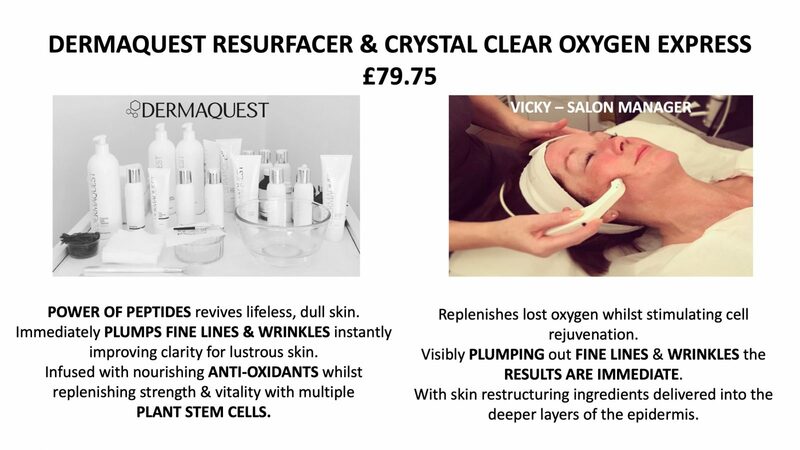 If so refer a friend to Serenity for one of the above treatments and they will RECEIVE 20% DISCOUNT off their first visit. As a token of our appreciation you too will also RECEIVE 20% DISCOUNT off your next facial treatment. We are committed to providing a professional and friendly service to all our clients. As part of this service we would like to give a little something back to you, not only for your loyalty but also for your valued custom. 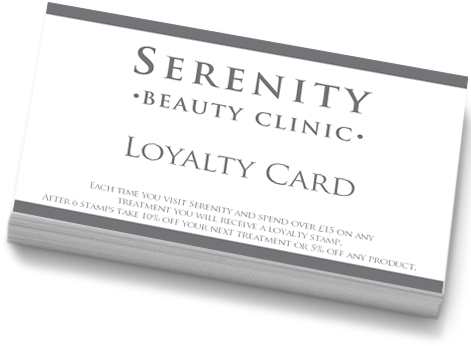 Each time you visit Serenity and spend over £15.00 on treatments you will receive a stamp. 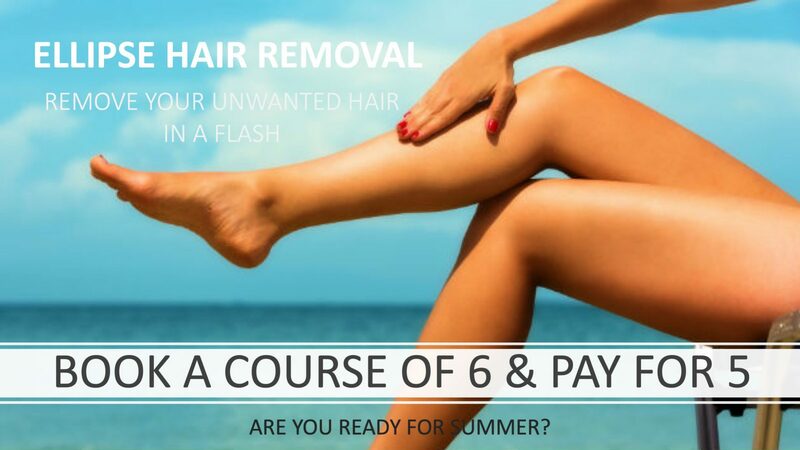 Collect a total of 6 stamps on your loyalty card and take 10% off a treatment or 5% off a product. We are committed to providing a professional and friendly service to all our clients.